Meisterplan is a PPM tool with a focus on resource management, visualisation and scenario planning. Based on cloud software, it provides everything you need to simplify your project portfolio management. It puts control back into the hands of your portfolio managers, enabling your PMO to manage resources and re-prioritise projects. An all-too-common scenario for PMOs is that you have dozens, or maybe hundreds, of projects going on at the same time -- half of which are considered the top priority, with the others not far behind. And with more projects coming in all the time, how do you even begin to manage the portfolio? How do you know if you've got the right people working on the right projects? Sometimes it can feel like a constant battle. Meisterplan gives you the tools you need for every stage of resource planning. It's easy to get started with role-based planning, and then, with more data available, you can match specific staff to certain projects based on their skills. Meisterplan also shows you when employees are over-allocated, and how to resolve the situation when this happens. Every project sponsor would like to think that their project is the top priority, but in an organisation where there are several projects running at once, that's simply not the case. Meisterplan will help you to ensure the most important projects are given top priority and are aligned to the corporate strategy. You can use the scoring feature to assign each project a score and then sort that way, or you can just rank each project and drag and drop them into the correct order. Resources will initially be assigned to the project with the highest rank, so you can be confident your key staff are working on the top priority projects. Ensuring that you have the right people working on the highest priority projects at the optimum time is absolutely vital when it comes to running an efficient PMO, but it's not so easy to achieve. With Meisterplan you can easily manage your project pipeline and stage gate processes, all the way from start to finish, and you can also determine whether a new project can fit into your portfolio. If circumstances change during a project, you can use scenario planning to see how those changes affect that particular project, as well as how it impacts all other projects in your portfolio, your staff and the financials. This enables you to react quickly and make the best, and most informed decisions for your business. Knowing whether your projects are on track and on budget is always near the top of the list for portfolio managers. So, being able to track financials and budgets across your portfolio of projects, is key. With Meisterplan you can easily identify your most profitable projects and ensure that your portfolio is on track with budgets. The dashboard shows you the amount of capital and operating expenses committed to the portfolio, along with its benefit. You can get estimated resource costs for each project by including a chargeable rate for each role you input, and you can use scenario planning to understand how financial resources are impacted by changes to projects. Being able to demonstrate the value of a project to the business can be difficult if all the data you need to make your case is in different places or departments within the organisation. With Meisterplan, you have the ability to collate and manage all the data you need, in one place. You can see and analyse your data in real-time with the interactive dashboard, internal reporting features and scenario comparison capabilities. You can also get all the information you need from the integrated pivot reports to design a better portfolio and communicate the benefits to senior management. 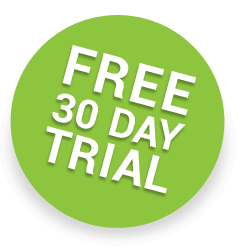 Please submit the form below to start a free 30 day trial. If you are not interested in receiving offers or content from ILX, please tick this box.